Xiaomi Redmi Pro 2's teaser is open. It has been discussed about Qualcomm Snapdragon 675 processor. It is being speculated that this is the same model which was a teaser with a 48-megapixel camera sensor. Information about the Redmi Pro 2 smartphone has come from leaked teasers that have been made public on Weibo. It is expected that this smartphone will be upgraded to the Chinese market in the 2016 Redmi Pro. Remember that Xiaomi Redmi Pro was introduced with Decca-Core Helio X25 processor and dual rear camera setup. Teaser made public by a tipster on Vibe shows that Shaomi Redmi Pro 2 will have a Snapdragon 675 processor. There is also a claim to give a better photography experience about the smartphone. By the way, both teasers do not mention the feature of the camera. But speculations are being made that the Redmi Pro 2 model will only come with the 48-megapixel camera sensor. These claims are being made on the basis of the Snapdragon 675 processor which has been part of a camera-centric smartphone so far. Xiaomi's President Lin Bin confirmed this month that the company was working on a 48-megapixel camera phone. At the same time, the Qualcomm 4G / 5G summit, Xiaomi Global Vice President and India Chief Manu Kumar Jain talked about bringing snapdragon 675 processor phones soon. This chipset supports 48-megapixel sensors. 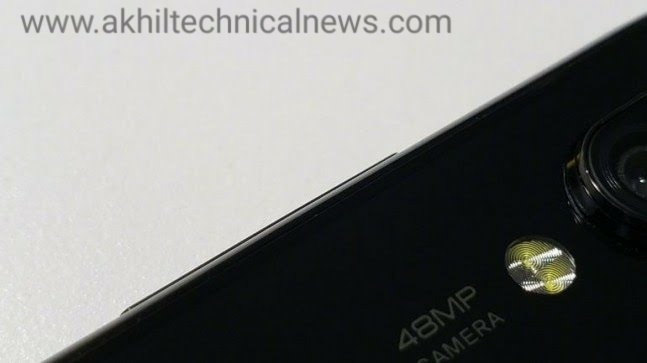 In a report last week in China, it was claimed that the xiaomi smartphone with a 48-megapixel camera would be of the Redmi series. It was also reported in the report that this phone will have a hole in the display for selfie cameras. The display hole is expected to be placed in the top left position. Remember that the Chaomi Redmi Pro handset was launched in China in July 2016. It was the company's first phone to come up with a dual rear camera setup. It has a 5-megapixel secondary sensor with a primary sensor of 13 megapixels. The Deca-Core MediaTek Helio X25 processor is in Redmi Pro.